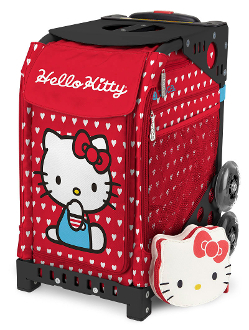 ZUCA Hello Kitty, Labor of Love, Insert Only. Hello Kitty holds a special place in your heart. Tote everything you love most in this super sweet bag. Frame sold separately. Includes mini pouch, while supplies last.